Update Required To play the audio you will need to either update your browser to a recent version or update your Flash plugin. Phrases in Irish > Yes, certainly! I'm starving! Ba mhaith, cinnte! Tá mé stiugtha! Bah wah, kin-teh! Taw mey stew-ka! Yes, certainly! I'm starving! That audio comes straight from our Bitesize Irish online course of Bitesize lessons. It's featured in our members-only Bitesize Lesson: What would you like to do?. With Bitesize Irish, you get to learn to speak Irish in easy Bitesize portions. If you'd like to jump into learning to speak Irish today, click here to start your free trial of the learning program. No obligation. Bah wah, kin-teh! Taw mey stew-ka! It's hard to “catch” those new sounds of our beautiful Irish language, right? Our Bitesize Irish program features extensive phonetic pronunciations of Irish. Start our program for free. Don't regret no having tried it. The Conor Pass, on the Dingle Peninsula, County Kerry, Ireland. 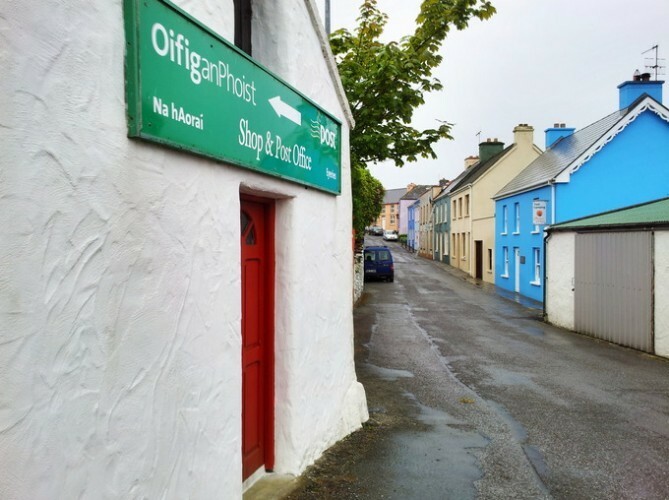 People speak a mix of English and the Irish language in Dingle. Yes, certainly! I'm starving! = Ba mhaith, cinnte! Tá mé stiugtha! Disclaimer: this translation was extracted from our Bitesize Irish program. There may be more context around this translation than we can show here for non-members. For example, don't get a tattoo with our translation above! What is The Irish Language? 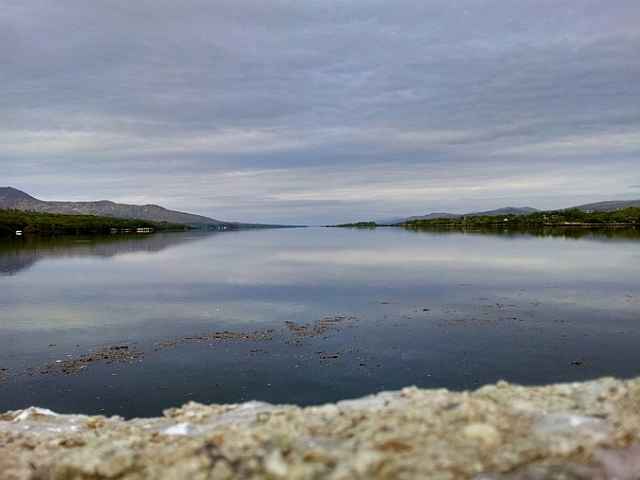 Kenmare, County Kerry. It's a beautiful spot in Ireland. If you wanted to get the translation for “Yes, certainly! I'm starving! ” in "Gaelic", Now's your chance to dive deeper! Irish Gaelic is the native ancient living language of Ireland. It is two thousand years old. Maybe you call it “Gaelic”. But that can lead to confusion with the related language spoken in Scotland. In Ireland, we just call it “the Irish language”, or simply “Irish”. If you have Irish blood, your ancestors spoke Irish Gaelic. 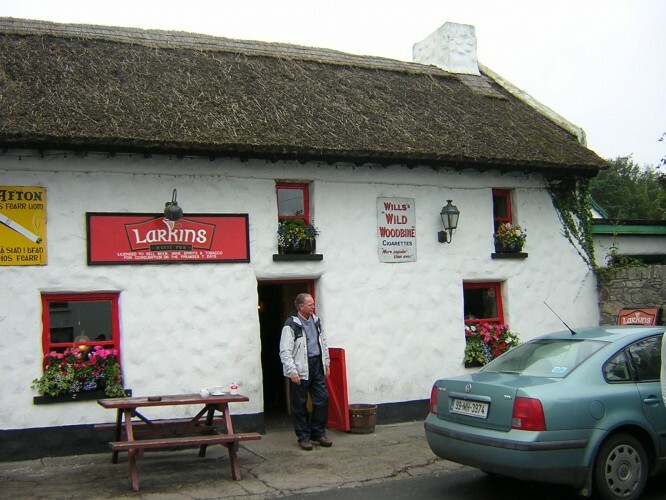 Larkin's pub in Garrykennedy, County Tipperary, Ireland. It's along the shores of Lough Derg. The Irish language itself is in peril. That's with half of the world's language expected to become extinct (unused) in the next couple of generations. Speaking even just a little Irish lets you make a real, deeper connection with your Irish heritage. How Can I Learn Irish? 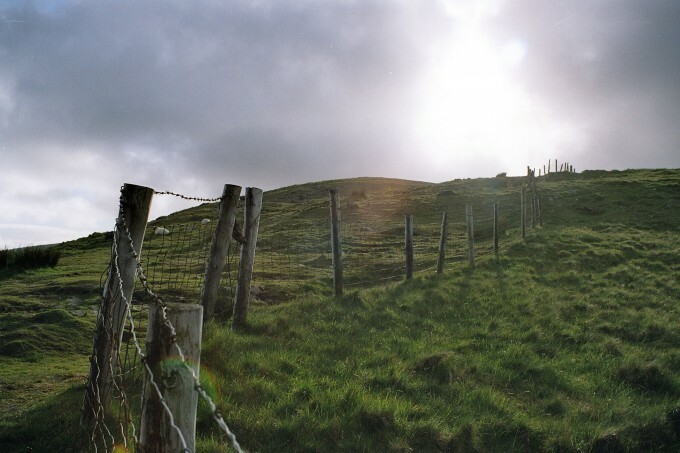 Na hAoraí in County Kerry, Ireland. A picturesque Irish village. Actually, it will take less than you thought to start with your first conversation! At Bitesize Irish, we break down the Irish language into easy Bitesize lessons. Our Bitesize Method is that you learn little bites of the language, regularly. Our “Irish for Beginners” email course will teach you your first conversation in Irish Glic over the next month. You'll also instantly get a FREE copy of our ebook “The Irish Language &dash; Your Key to Gaelic Ireland”. Get our free email course here. © Bitesize Irish Gaelic Ltd, 2009–2019.